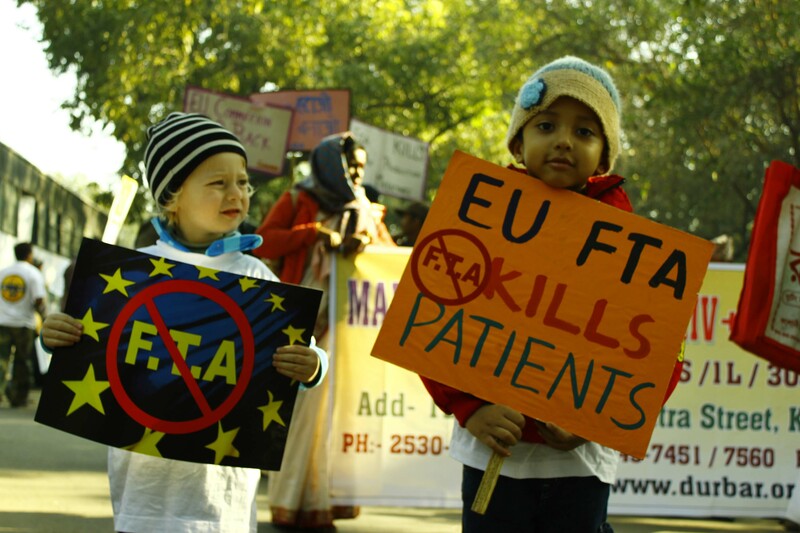 Brussels/Geneva/New Delhi, 29 March 2016 — Ahead of tomorrow’s EU-India Summit in Brussels, the international humanitarian medical organisation Médecins Sans Frontières (MSF) urged Indian Prime Minister Narendra Modi to keep his country’s ‘pharmacy of the developing world’ open and to resist pressure from the European Union to accept harmful provisions in a trade deal that would restrict access to affordable medicines for millions of people. Prime Minister Modi and EU officials are expected to announce at the Summit the resumption of negotiations in the nine-years-and-counting free trade agreement talks between the two trading partners. Negotiations have mostly stalled for nearly three years, but appear set to soon resume with many contentious issues remaining on the negotiating table. They include those surrounding intellectual property issues, which could have a serious negative impact on access to medicines, including on the production and export of affordable generic medicines from India. "The reality is we wouldn’t be able to treat as many people if it weren’t for affordable generic medicines from India." While intense pressure from groups of people living with HIV, hepatitis C and cancer successfully managed to remove some of the worst provisions from the negotiations over the years, a number of issues that would harm access to medicines remain. 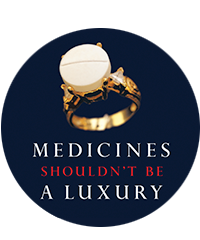 They include the enforcement of intellectual property, which – as proposed by the EU – could also see legitimate medicines being blocked from leaving India on their way to people in developing countries if a multinational company claims that their intellectual property is being infringed upon, as well as third parties – such as treatment providers like MSF – being embroiled in court cases simply for buying or using generic medicines that are under a patent dispute. Should generic medicines not make it to people on time, the health consequences for any delay or interruption of treatment for many diseases could be serious. MSF relies heavily on affordable Indian generics to conduct its medical work. Over 97% of the antiretroviral medicines MSF purchases to treat 230,000 people for HIV, and three quarters of the anti TB medicines to treat over 23,000 people for tuberculosis are sourced from Indian generic companies. In 2015, MSF launched a campaign - #HandsOffOurMeds handsoff.msf.org – to urge Indian Prime Minister to protect India’s production of life-saving affordable generic medicines. At the height of the EU‐India Free Trade Agreement (FTA) negotiations, Indian negotiators from the Commerce Ministry rejected patent term extensions and data exclusivity as being “well beyond” international trade rule obligations. In doing so, the government stated its position on the issue clearly—“On [the] intellectual property rights issue, whatever is discussed has to be in compliance with the TRIPS commitment”—and made an assurance publicly that instead, India will ensure that the high-quality generic drugs it produces continue to be accessible for all countries . In the last decade, India has established a balanced position on the patent system. While India does grant patent monopolies to a number of new pharmaceutical products, it is trying to strike a balance between providing intellectual property (IP) protection and having the legal flexibility to protect the right to health. It does so in FTA negotiations. In the past decade, Indian trade negotiators have rejected any IP proposals in FTA negotiations with Japan and the EU that go beyond the requirements of the TRIPS Agreement.